Eileen, Ashley and Paul ready to lend a hand to the clean up efforts. 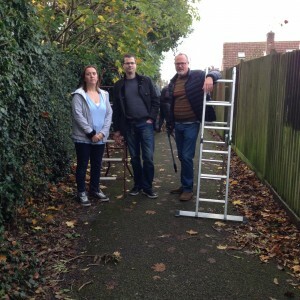 Councillors Ashley Pearce, Paul Woodward and Eileen McElligott, as well as Reading East Parliamentary candidate Matt Rodda were joined by around 7 volunteers on Saturday morning to help tidy up the alleyway at the top of Winton Road and Hollydale Road. Reading Borough Council provided the equipment needed and collected the waste, whilst the Councillors organised the labour needed. The clean up involved cutting down overhanging trees, sweeping up leaves and trimming grass verges. In all there where nearly 10 bags and 3 bin fulls of waste created and taken away. This clean up follows in the path of successful clean ups last year on the Cowsey and Shinfield rec. 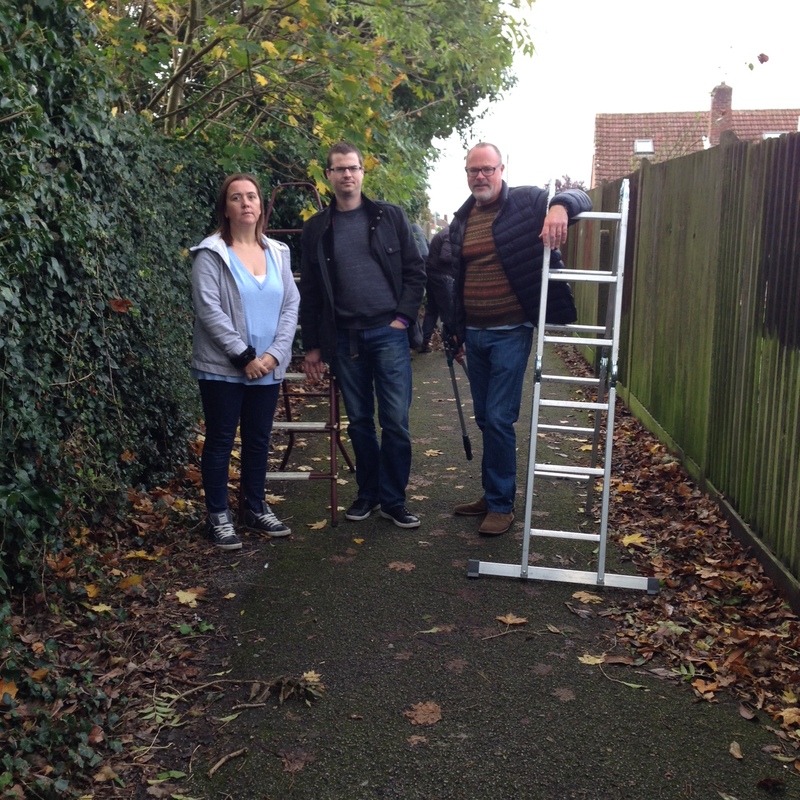 The clean ups are a great way for communities and Councillors to pull together to help improve our areas. If anyone has any future suggestions of areas that require the clean up treatment, please contact Ashley, Paul or Eileen. This entry was posted in Ward News and tagged Hollydale Winton on October 28, 2014 by Ashley Pearce.